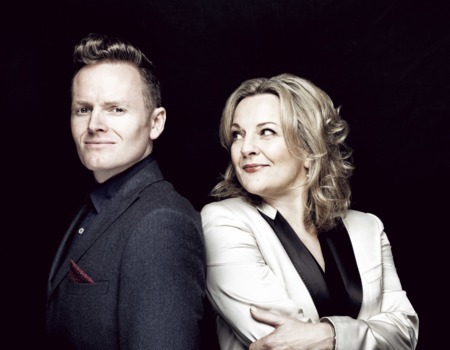 Celebrating the most optimistic of the seasons - the blossoming of buds, the warble of the lark and the first thrilling swoop of the swallow - Claire Martin and Joe Stilgoe are back with IT MIGHT AS WELL BE SPRING. Following complete sell-outs in 2013 and 2014, Martin and Stilgoe bring their joyous song, smutty banter and splendid jazz plumage to Crazy Coqs once more! Songs include "It Might As Well Be Spring", "Spring Is Here", "April In Paris" and "Blue Skies", songs from giants such as Rodgers & Hammerstein, Irving Berlin, Fran Landesman, Lennon & McCartney and Randy Newman. Claire Martin has established herself as a tour de force on the UK jazz scene, winning numerous awards, including the British Jazz Awards six times. She has toured extensively throughout the world, appearing with the Royal Liverpool Philharmonic and her world-class trio. She has been awarded an OBE for services to Jazz. Joe Stilgoe is one of the world's finest singer-pianists, touring constantly with his band and as a solo act, appearing at jazz clubs and festivals around the world, as well as at Crazy Coqs for his very popular Sunday residencies.